Roy Hodgson has pleaded with the board of his new WBA side that they desperately need more players with ridiculous names. “We’ve only really got the two that are really hilarious – Gianni Zuiverloon and Peter Odemwingie. We really need more to stay in the Premier League”. It is hoped that the Baggies boss will be allowed special permission from the FA to sign some of his much-needed comedy-named players in order to paralyse opposition team talks in their remaining games. 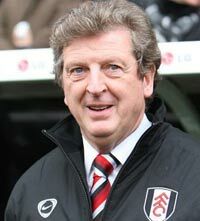 “Peter has scored so many goals this season because most opposition coaches will just give up on pronouncing his name rather than discuss him before matches against us” added Hodgson. “In many games most defences seem to have no idea that he even exists”. FANNY SCHAMP, Belgian defensive midfielder.